We are proud to serve patients of all ages from the Southington area in communities such as Cheshire, Bristol and more. Dr. Don Demas earned his dental degree from the University of Illinois College of Dentistry. Additionally, he completed a two-year pediatric residency at the University of Connecticut Health Center. Dr. Demas worked as a pediatric dentist before continuing his education to become an orthodontist. He attended the University of Maryland and received his Certificate of Orthodontics as well as a Masters degree. He attended the University of Kentucky for a one-year fellowship to study the treatment of temporomandibular joint (TMJ) disorders and the use of dental appliances in sleep apnea. 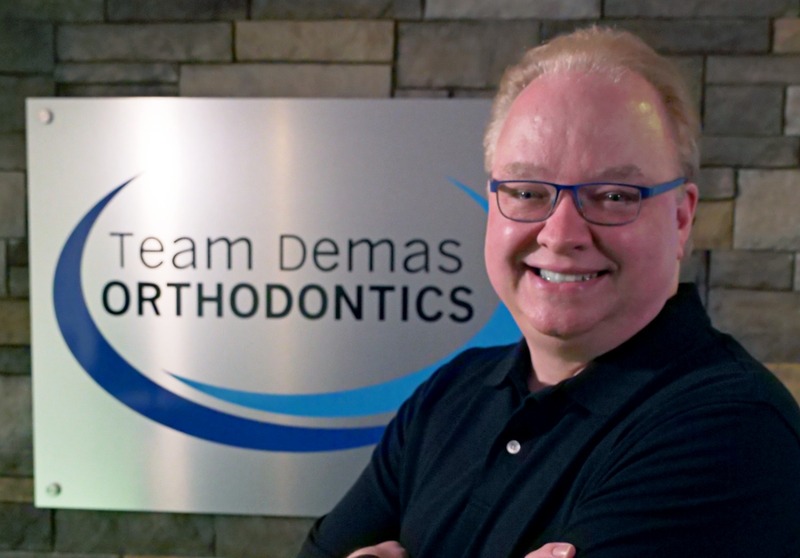 Dr. Demas is an active member of several professional organizations for orthodontics, pediatric dentistry, TMJ, and sleep disorders. Traditional braces are one of the most efficient orthodontic tools we have. The metal or ceramic brackets, which are connected to by wires and tiny rubber bands or elastics, are attached to the teeth. Through regular adjustments with our doctors, these parts work together to apply gentle pressure to your teeth. This will gradually move the teeth into the desired positions. Cheshire braces are an excellent choice for correcting a number of tooth issues, from simple to complex. Cheshire braces are also a cost-effective option for patients on a budget. Because they sometimes work faster at closing gaps and aligning teeth than other options might, overall treatment time can be slightly reduced. In addition, braces don’t require some of the more complicated technology or expensive equipment that newer treatments can. The Cheshire Invisalign system uses a series of clear, removable aligners to gradually move the teeth into alignment instead of brackets and bands. This option is incredibly popular with both patients and orthodontists and is currently the top alternative to traditional braces. Invisalign aligners are made of a comfortable plastic material and designed to fit snugly over the patient’s teeth. The trays are virtually invisible, and are usually switched out every 1-2 weeks for the next in the series. This keeps the teeth moving in the right direction! Patients who neglect to wear the aligners as directed can have a negative impact on the results and also add time to the orthodontic process.Aligners must be worn 20-22 hours per day throughout treatment in order for them to do their job. Invisalign is at its most effective when used to correct many of the most common orthodontic issues, and may not be the best option for patients with especially complex cases. A free consultation with Team Demas Orthodontics will be able to help determine your eligibility for Invisalign. When you visit our office for a complimentary consultation, you’ll find that we focus on your particular orthodontic needs, as well as your specific tooth shape, the movement of your lips, and the shape of your face. Using these as the basis for treatment will result in a beautifully aligned smile that’s just right for your face! Our skilled doctor and staff excel at providing customized treatment plans for each patient we see. To learn more about Cheshire orthodontics, click here to schedule your free consultation with Team Demas Orthodontics.